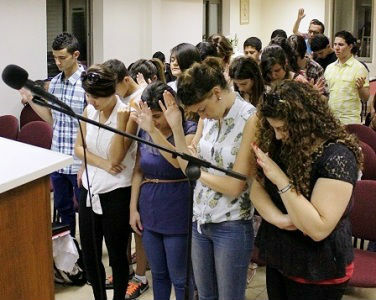 There is a clear need and significant impact in giving support to churches in Israel. Prayer, encouragement and communication are vital. Financial support for individual churches can also be significant and valued, as expressions of the relationship and tokens of friendship and fellowship. From time to time, there are also specific needs and projects which a financial gift can help with, such as supporting a new youth ministry, a summer Bible club for children, or a training course for a leader. We can be thankful for the warmth, strength of faith and heart for mission in the ABCI churches, even though it is a tough place for them to live in. Being relatively few in number with generally low disposable incomes, resources are stretched. There is no Home Mission Fund or standard stipend or pension provision for pastors, and ministries struggle. However, we have a great God for whom nothing is impossible, who promises to meet all our needs, the Lord said He would build His church, and the few loaves and fishes offered to Him go a long way in His hands. And He is with us always. So in all the pressures, may the believers (including us) know the Lord’s refreshing presence, resourcing, enabling and effectiveness in mission. We pray for a harvest, for true peace in Jesus (John 16:33). Support may be for the linked church, or a particular need, or the ABCI ministry fund, or ‘where most needed’. Each quarter a single transfer of the combined gifts is made to the ABCI for distribution as designated. Gifts can be made via a cheque payable to ‘Baptist Twinning in Israel’ and sent to our Treasurer with a covering letter indicating the destination. To make an occasional or regular donation please print and complete our donations form. Regular donations can be made by standing order using the same form, please complete and send to your bank or building society. Direct to our bank account at Lloyds Bank (details from our Treasurer). From a Stewardship account by searching for ‘Baptist Twinning in Israel’. From a CAF account by searching for ‘Baptist Twinning in Israel’. In all cases, please indicate which church or organisation in the Association of Baptist Churches in Israel (ABCI) you would like to benefit from your gift. It is helpful if you email our Treasurer with a summary of the donation you have made, so that it can be tracked online and a receipt sent to you once the gift has arrived. 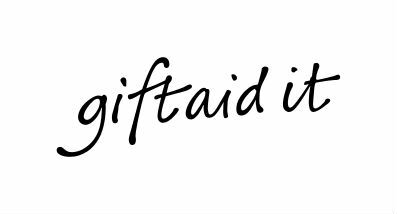 Via Gift Aid we can claim tax back from the government and increase the value of the gift by 25%; please consider Gift Aid and complete this declaration if you are a UK taxpayer.. Please contact our Treasurer if you have any queries (email).